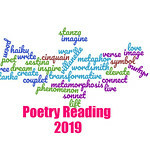 Cinderella’s Magical Wheelchair: An Empowering Fairy Tale (Growing with Love) by Jewel Kats, illustrated by Richa Kinra, is a new twist on an old fairy tale. Cinderella still has a mean stepmother and step-sisters, but rather than the able-bodied beauty of the other tale, Cinderella is bound to a wheelchair. While her injury or disease is not explained, it is clear that her step-sisters still view her as a threat and are still insecure. While they make a bargain with her so that she can make them beautiful jewelry and she can go to the ball, a fairy godmother (Monique) is still needed to get her there on time to meet the prince. The little girl and I read this one together, but as there was a lot more text than she was used to and few pictures, her mind wandered quiet a bit. The illustrations reminded me of those coloring books from long ago and the kids had to color them in. It’s pencil and colored pencil look makes it easy for kids to relate to, and the fairy godmother’s transformation of the wheelchair into a flying chair was unique and fun. What was most enjoyable here was the fact that Cinderella was able to get out of her stepmother’s home on her own and start her own business and get her own accessible apartment. 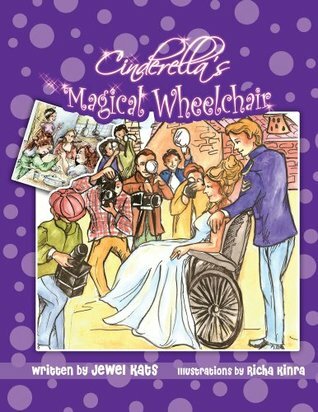 Cinderella’s Magical Wheelchair: An Empowering Fairy Tale (Growing with Love) by Jewel Kats, illustrated by Richa Kinra, has a great message for kids that they can do and be anything. In particular, girls do not have to wait for a prince to rescue them, as long as they are willing to work hard and strive to meet their goals. Once a teen runaway, Jewel Kats is now a two-time Mom’s Choice Award winner. For six years, Jewel penned a syndicated teen advice column for Scripps Howard News Service (USA) and The Halifax Chronicle Herald. She gained this position through The Young People’s Press. She’s won $20,000 in scholarships from Global Television Network, and women’s book publisher: Harlequin Enterprises. Jewel also interned in the TV studio of Entertainment Tonight Canada. 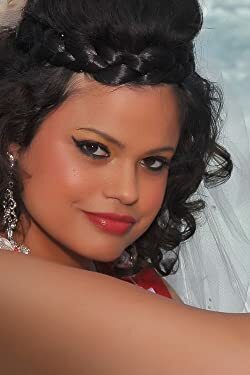 Her books have been featured in Ability Magazine (USA) twice. She’s authored eight books-five are about disabilities. The Museum of disABILITY History celebrated her work with a two-day event. Jewel has appeared as an international magazine cover story four times! Recently, her work was featured in an in-depth article published in “The Toronto Star”. Jewel’s work has also appeared as an evening news segment on WKBW-TV and on the pages of “The Buffalo News”. I like the message behind this book. Too bad there weren’t more pictures, though. Looks like a sweet book!